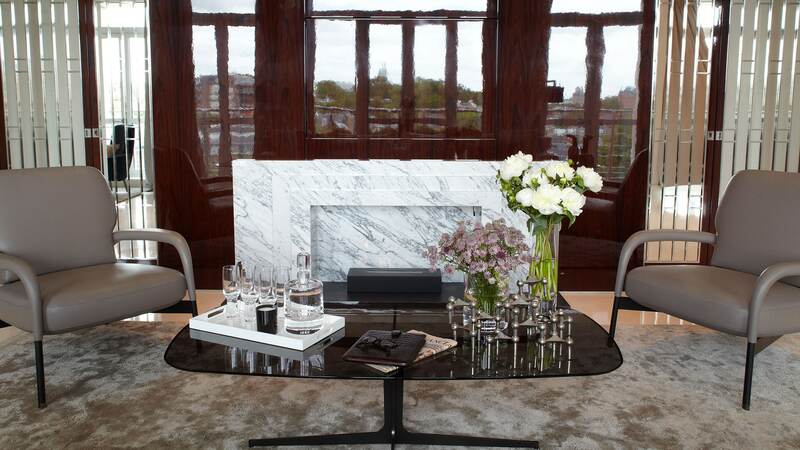 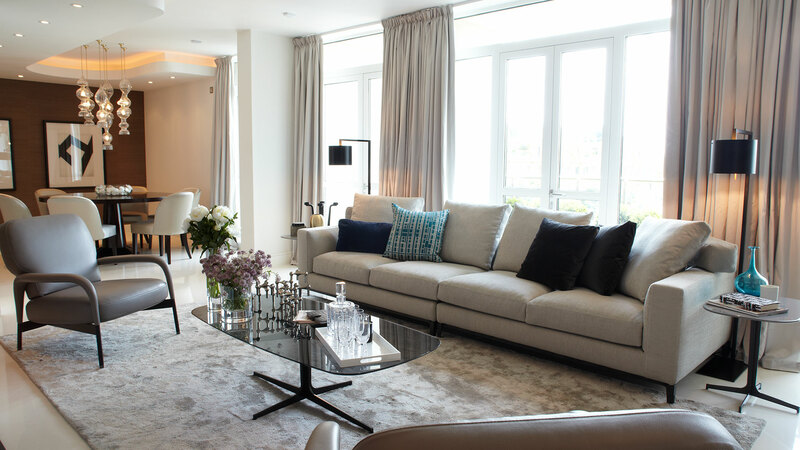 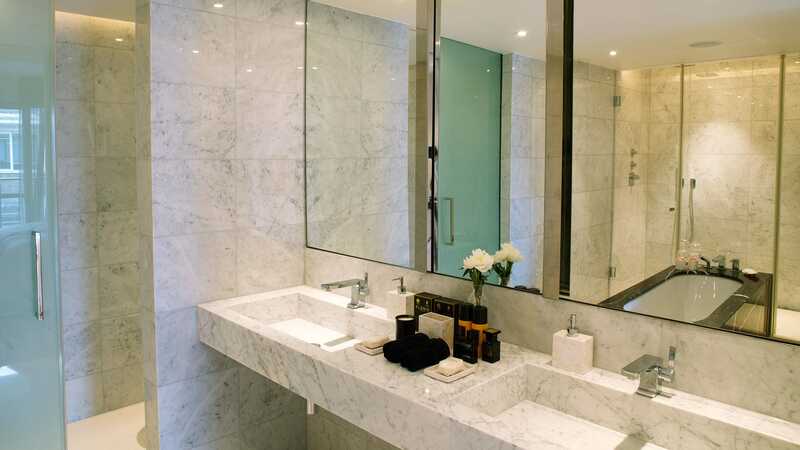 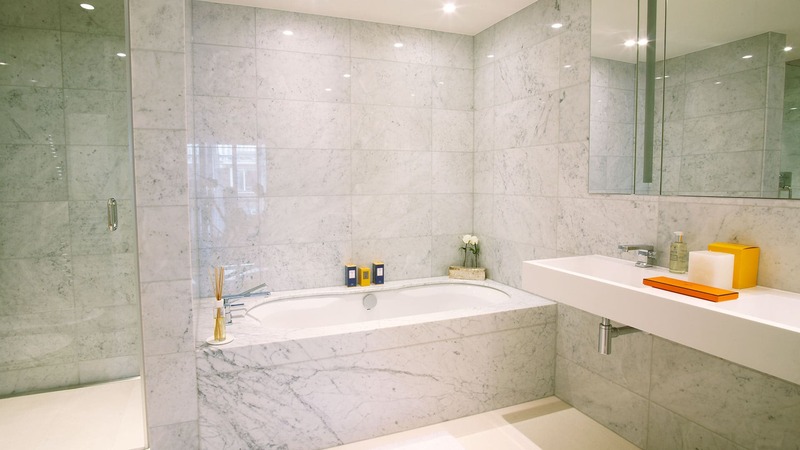 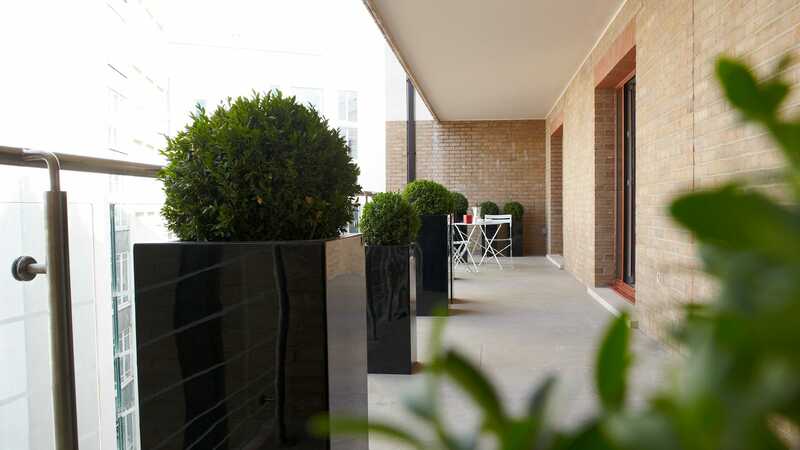 We were asked to fully refurbish this luxury apartment in the exclusive area of Knightsbridge. 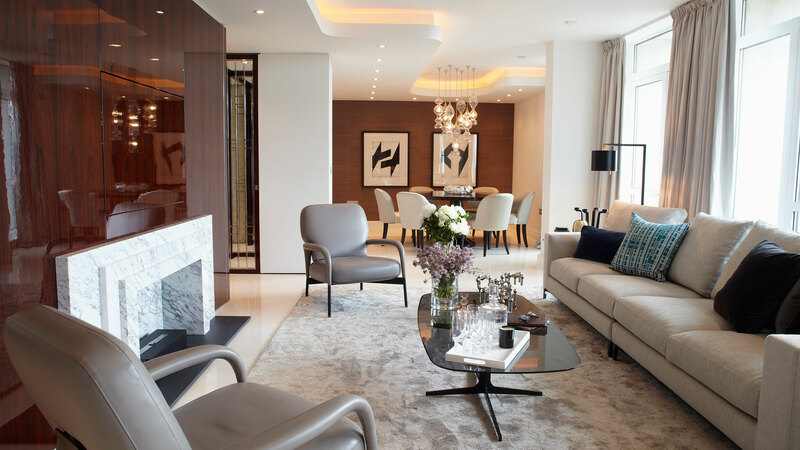 The work we carried out included a full renovation and update of all the electrics, installing both inset and modern chandelier lighting. 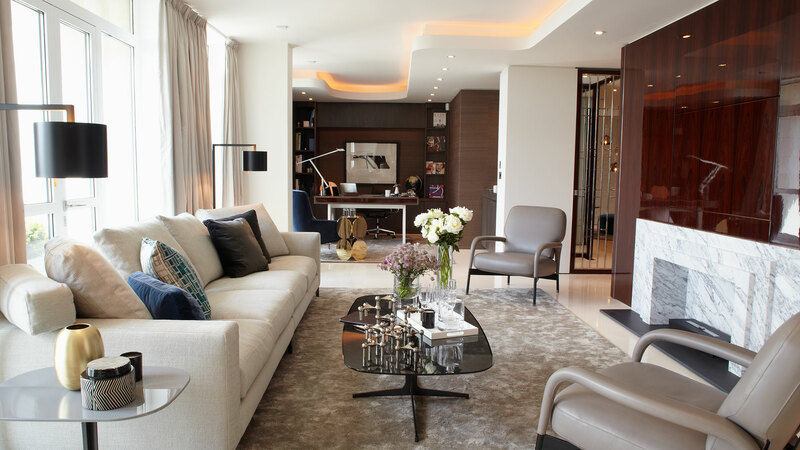 We lowered the ceilings and created smooth, flawless lines that ran throughout the rooms. 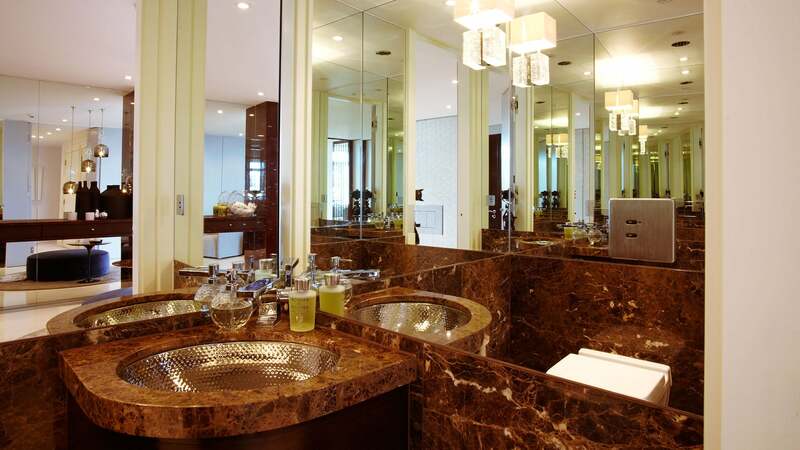 Two new, luxury bathrooms were installed by our professional plumbers. 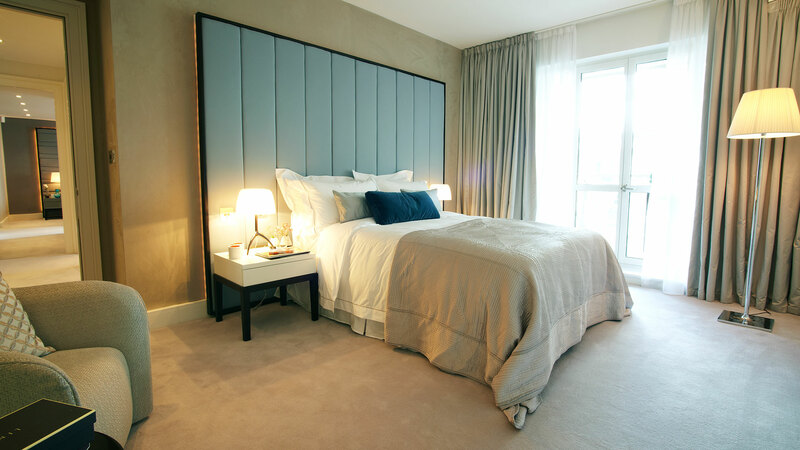 Walls were furnished with a variety of innovative materials, including leaded glass, mirror and fabric to create fascinating textures. 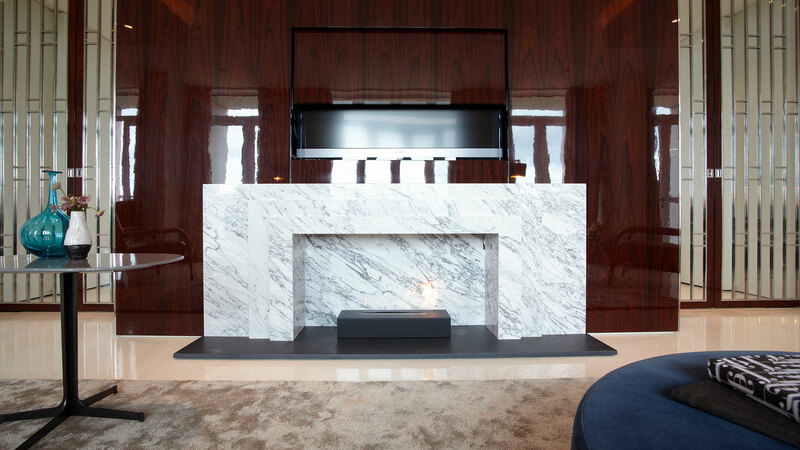 We created a high-gloss feature wall encasing a television unit with a rising panel. 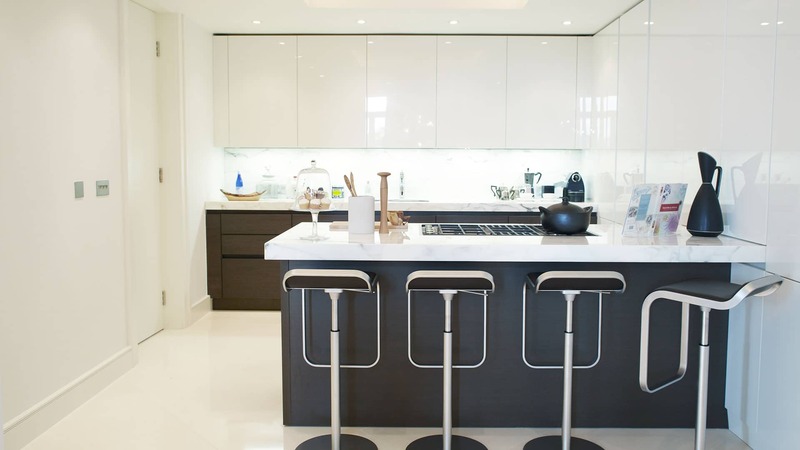 Our professional carpenters provided high-quality, inbuilt furniture with flawless, classic finishes.